For an authentic view of everyday life in New Orleans, the Irish Channel is worth a visit. The neighborhood is a close-knit community of shotgun homes and colorful, cozy streets where neighbors wave hello, stop to chat, and appreciate the Big Easy living that NOLA is known for. But there is more than just residential charm to this portside district. What began as a working class neighborhood of immigrants in the 1800s is now one of the most eclectic areas of the city – and in New Orleans, that’s saying something. Ready to explore this tucked-away corner of New Orleans? Just follow our neighborhood guide to all the must-see spots in the Irish Channel. Simon of New Orleans is a French-born, self-taught artist whose style is synonymous with the Crescent City. You can’t go more than a block in the city without seeing this artist’s brightly colored, hand painted signs proudly displayed. From restaurants and local shops to front door windows, Simon’s iconic creations are everywhere. And to get a sign of your own, you’ll need to visit his sign shop in the Irish Channel. On the corner of Jackson Ave and Magazine Street, the folk artist’s storefront (ironically) doesn’t have a business sign. He is strictly low-tech with no website, no computers, and no e-mails – but you’ll want to meet this eclectic painter for yourself. His personality and workspace is as vibrant as his artwork. As soon as it began printing t-shirts in 2003, Defend New Orleans became the darling brand of the city’s unwavering spirit. With trend-setting designs and New Orleans-inspired clothing, accessories, and gifts, the company has built its image around NOLA pride. And a percentage of the proceeds from sales go to charities, non-profits, and community-based institutions around the city, making every purchase a good investment. 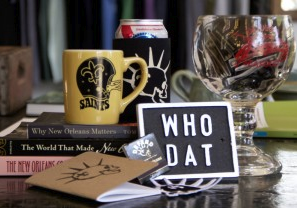 The shop’s flagship location on Magazine Street is full of NOLA’s independent spirit. It’s right on the border of the Irish Channel and is definitely worth a visit. The Irish Channel meets the Garden District right at Magazine Street, an iconic stretch of pavement filled with boutiques, local artist galleries, and antique shops. The throughway runs through some of the city’s most treasured neighborhoods and is an essential NOLA experience for any trip – for all the best spots on Magazine street, check out our in-depth guide to this six-mile stretch. As the name implies, the Irish Channel was originally settled by mostly immigrants from Ireland in the early 19th century. And in keeping with the theme, the neighborhood’s St. Patrick’s Day parade is one of its many claims to fame – and is an only-in-NOLA sight you don’t want to miss. 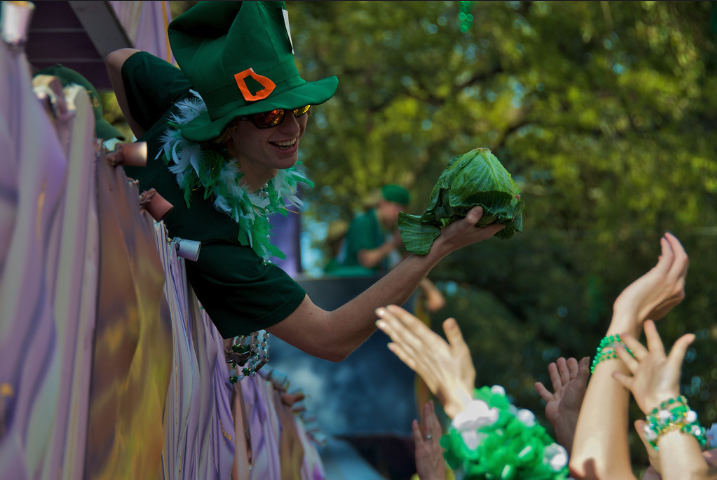 The St Patrick’s Day Parade runs through the Lower Garden District and the Irish Channel and features one of the city’s best (and weirdest) throws: cabbages on beads. Crowds of locals and visitors alike gather for the parade kickoff at the corner of Napoleon Avenue and Tchoupitoulas Street. If you need a good place to watch the festivities roll by, two of the most iconic bars in the Irish Channel throw St. Patty’s day parties for parade-goers. Tracey’s, which is right on Magazine Street, is a great spot to start your post-parade carousing, while just down the street, Parasol’s block party goes into the evening. Just down the road from the Irish Channel is home to one of the best-known music clubs in New Orleans: Tipitina’s. The venue is a beloved city landmark that has hosted countless legends and historic live shows over the years. Every summer the hotspot presents free weekly showcases of NOLA bands for the Free Fridays Concert Series, and their calendar always jam-packed with outstanding performances. 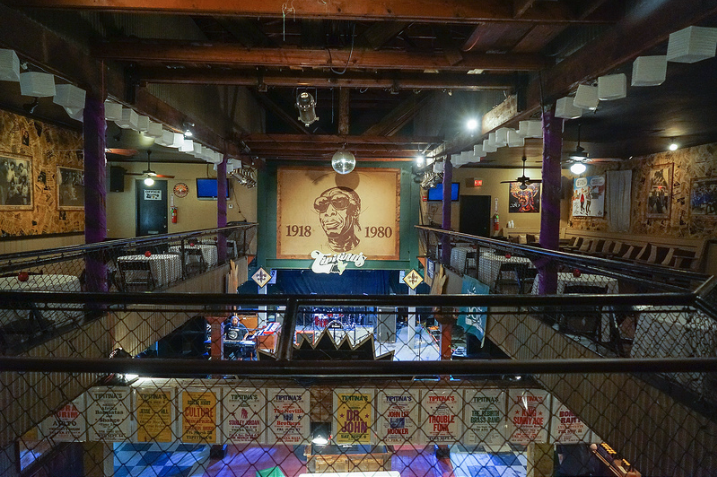 Plus, with three bars, two stories, and plenty of space for dancing, you can’t go wrong with a night at Tipitina’s! One of the best places to enjoy a laid-back NOLA evening is located on Tchoupitoulas Street (pronounced CHOP-ah-too-lus) where the city meets the levees. The Tchoup Yard is a favorite hangout for locals and one of the lesser-known gems of Irish Channel nightlife. 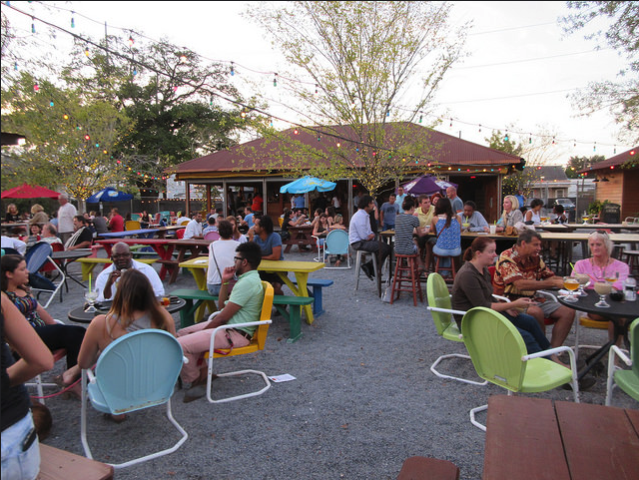 Part beer garden, part beach bar, and all about the al-fresco vibe, the Tchoup Yard is like a bar-crawler’s clubhouse. The outdoor setting is complemented by a canopy of strip lights, plenty of picnic tables, a covered bar, and a great atmosphere. Right down the street, the NOLA Brewing Tap Room harkens back to the old days of the Irish Channel when multiple breweries employed a major portion of the neighborhood. The locally owned ale house keeps the tradition alive, and their tastings and tours make a great day trip. NOLA brews eight original lagers and ales using top-quality ingredients from around the world, and you can sample them all while enjoying a smoked BBQ lunch at the Tap Room. And be sure to check out their rooftop deck – it’s a great spot to sip on your ale and feel the Mississippi breeze. Incredible art, rich history, delicious food – there’s so much to explore in New Orleans, and it’s all waiting for you right outside your door when you book your stay at Bienville House. 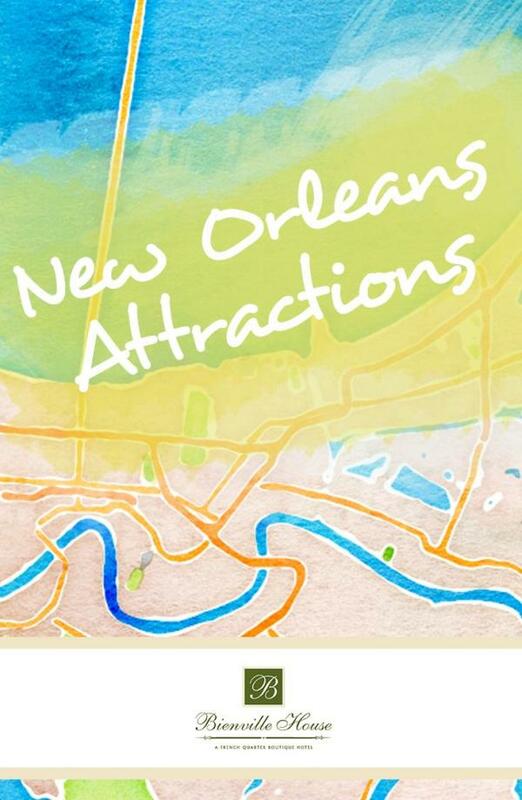 Come experience the charm of the Irish Channel and all of the one-of-a-kind New Orleans neighborhoods today!